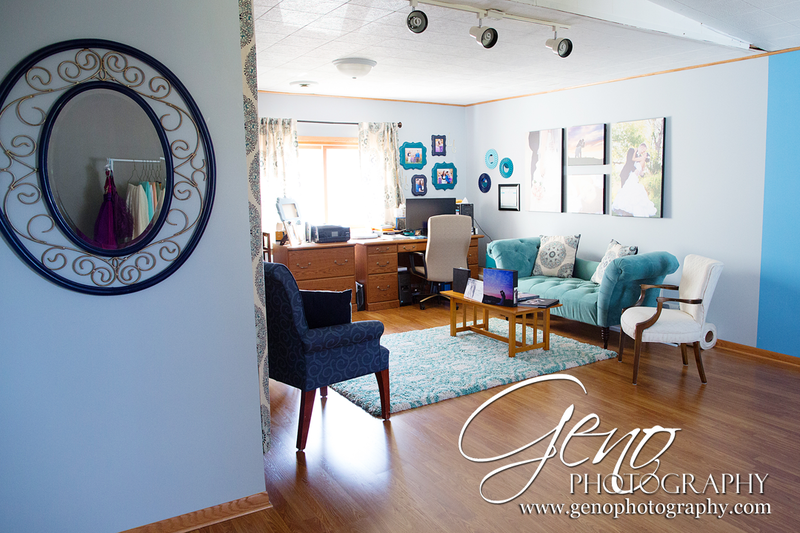 If you've been reading my blog, you know we've been working hard on getting our remodeling projects finished and everything looking great around the studio. 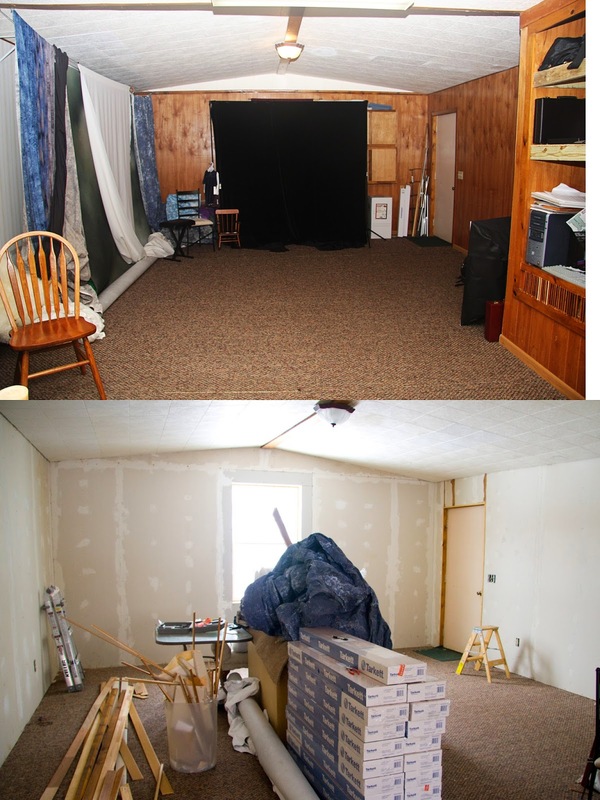 It has been a long journey, filled with wood paneling and dry wall, carpet and laminate flooring, painting, trim, new doors, new steps, and many more projects. It has been a much bigger project than I ever anticipated. Doing the work ourselves has been both a blessing and a set back at times. I have to say though, as I sit here at my desk, I am so happy and thankful for all the long hours we have spent making the studio better. 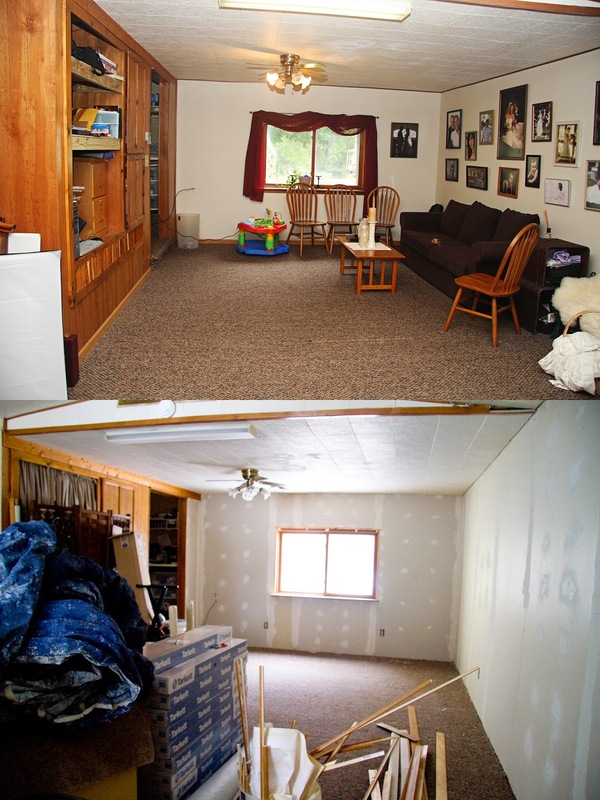 We moved into our house in 2007 and I quickly claimed the pre-existing addition as my own. I entered it with a vision and a lot of naive notions as to how quickly that vision would come to life. 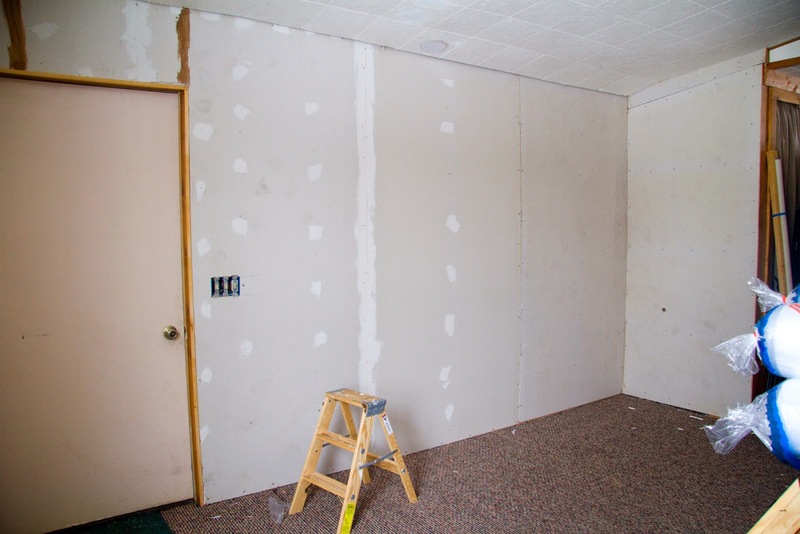 I looked around this enormous room and saw nothing but potential. I saw through the hideous wood paneling and wall paper, beyond the tattered carpet, and past the many other eye sores that filled the room. I knew one day it would be wonderful. 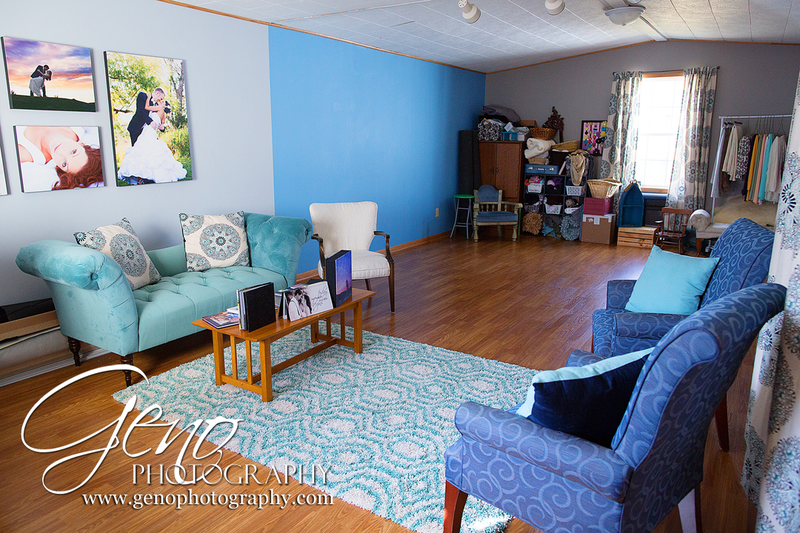 I would like to take a moment to thank all of my amazing clients for understanding that the studio has been a work in progress and bearing with me as the studio lived in a state of flux, a state it's been in for several years. We have done almost all of the work ourselves. Working around our work schedules proved more challenging than we thought. 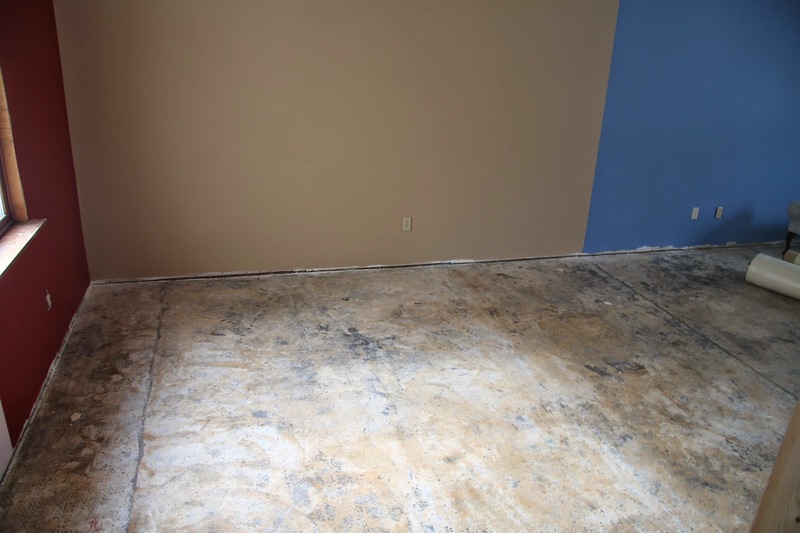 On the plus side, I'm now quite adept at ripping up carpet, drywall mudding, and installing laminate flooring. Please, don't ask me to use a power tool aside from a drill though. Even then, the drill isn't necessarily my best skill either. 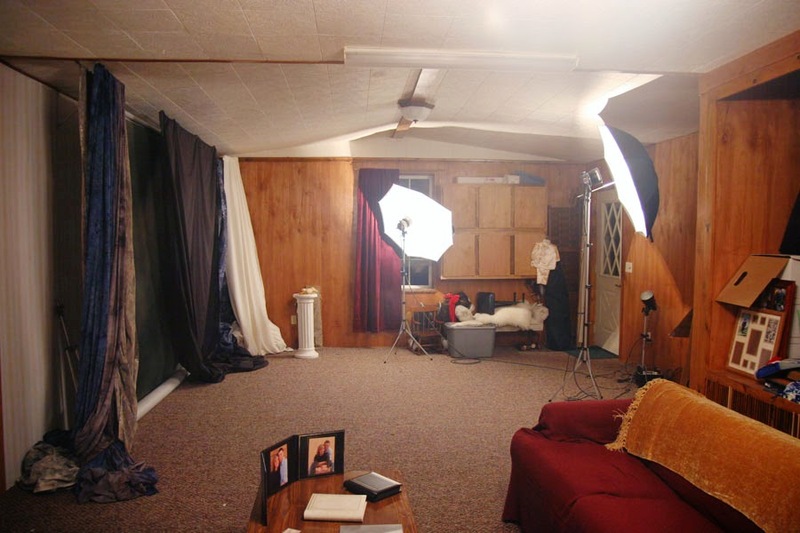 I still cringe a bit every time I see pictures of what the studio looked like. 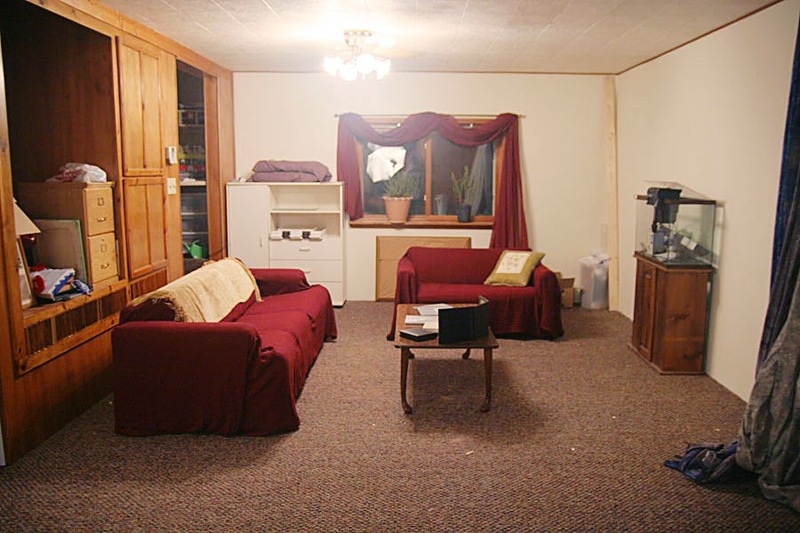 I think the biggest eye sore for me was the wood paneling. 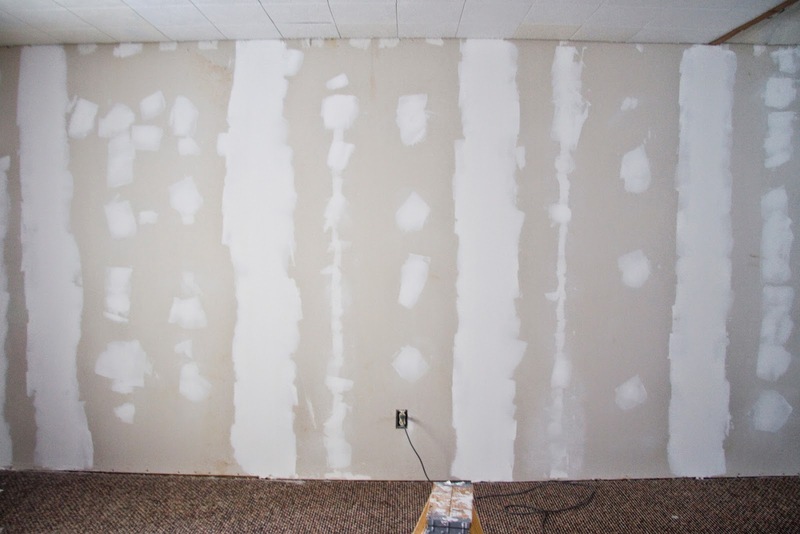 Pulling that stuff off the walls was an amazing feeling, even though I did a great job of smashing my toes with paneling as it came off the wall. 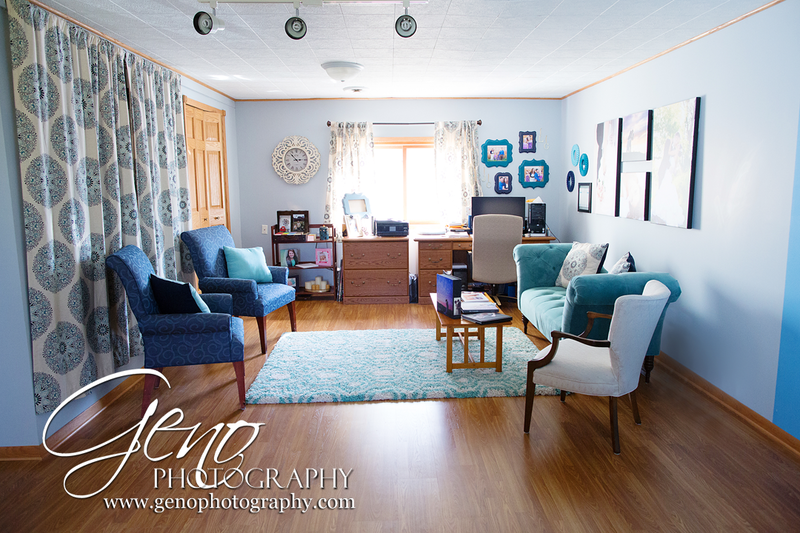 Being a photographer, I'm all about lighting, so to finally brighten up the walls was wonderful! 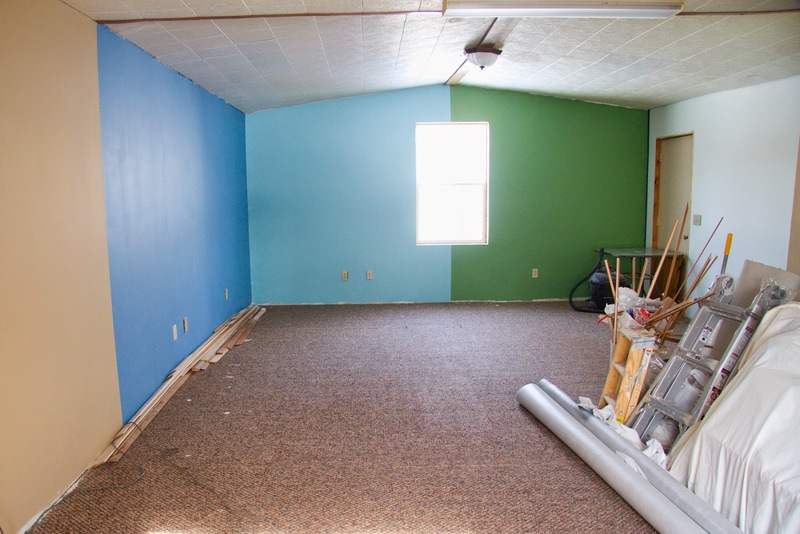 After the walls were mudded and painted, I ripped out the carpet, which was another super-fun part of this adventure. Honestly, pretty much any project involving demolition is high on my "fun" list. Laying the new laminate was quite the project. The studio is roughly 30' long and even with the help of two great friends (thank you again, Jess and Corey!!) it was an long and difficult project. I love, love, love how it turned out though. The light oak makes the room warm and bright. 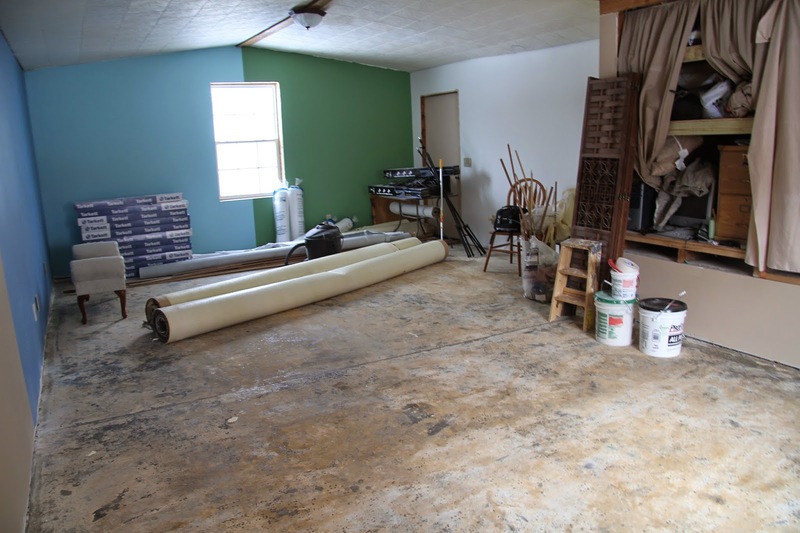 Once the floors were in and the walls were painted, we came to a bit of a standstill. Schedules got in the way and we fell behind on the progress we'd been making. Gradually, we got back to ticking projects off our to-do list little by little. Perhaps, one of my least favorite tasks of all was painting the ceiling. 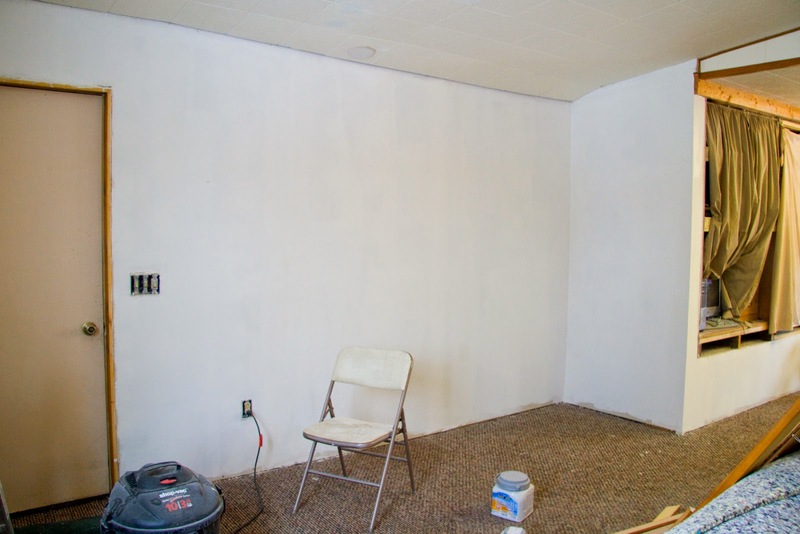 I love painting walls, easy-peasy. But painting a ceiling is tedious, miserable work. My shoulder still aches just thinking about it. Painting the ceiling was worth the sore neck and shoulder though. The new bright white bounces light around the studio and looks so great! The new ceiling trim went up shortly after the painting was done and gives it such a beautiful finished look (thank you, Adam for all your help with getting the trim up while Josh was away for Army stuff!!). One of our last projects on the studio was the steps and doorway that lead into the studio from the main house. The intention going into this project was to replace the step tops with newly stained oak steps and hang bi-fold doors (since the door way is too large for a standard door). Seemed simple enough... 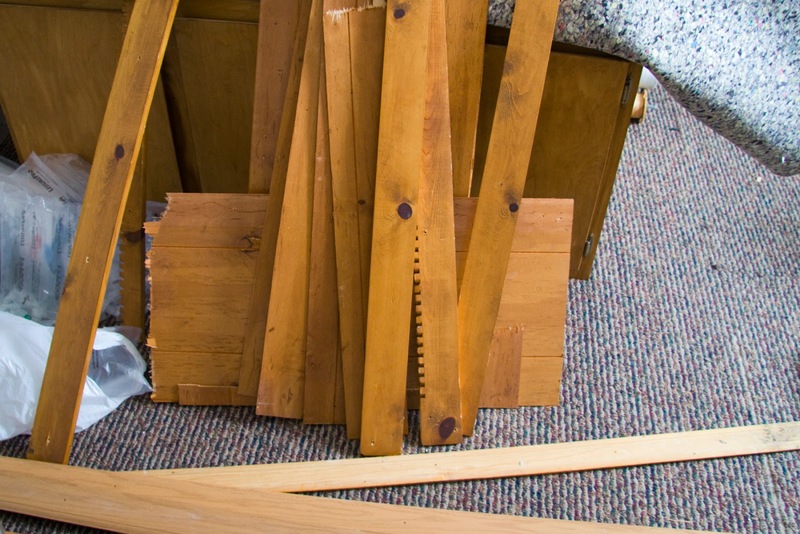 But a bit of re-framing, re-drywall-ing, and re-laying some new laminate flooring boards later we realized it wasn't quite the simple task we'd hoped. Despite the bumps in the road, we have the doors on and looking great, as are the new stairs! Just before Spring Break, the new furniture arrived. I'm seriously in LOVE with the teal velvet couch. Now, the studio is looking amazing! We have put many, many hours into this project and it has truly been a labor of love. I am looking forward to many more years of shooting sessions here! Now to the new pictures!! What a HUGE difference all the hard work has made. So happy to have this beautiful space.